Critical components in mines, bridges, roads, rail infrastructure and other civil projects, cable bolts, self-drilling anchors and rock bolts need to be reliable. Our highly experienced teams optimise the anchor design based on the local geology and environment as well as the load stresses to be placed on them. 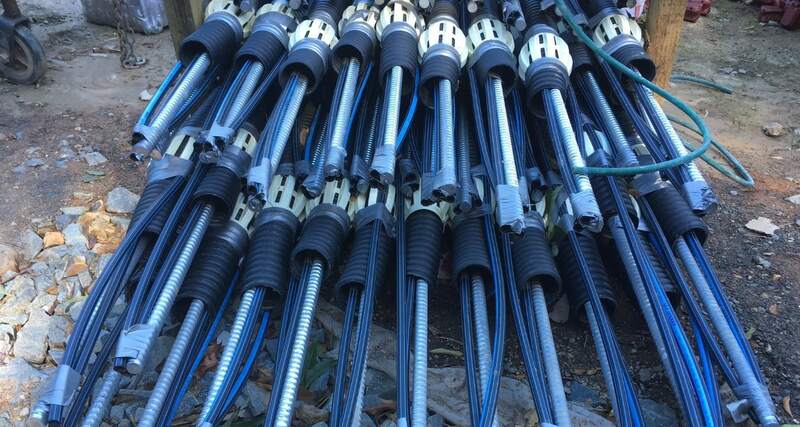 SRG Global provide bulbed, plain, multistrand, debonded, corrosion protected cable bolts for ground and slope stabilisation. We also provide cable bolt accessories including bearing plates, packing, grout tube and barrel and wedges. Through our network partner BBR, SRG Global provide BBR SDX self-drilling bar system for construction and mining applications. The BBR SDX system is a fully threaded hollow bar system, complete with a selection of accessories, designed to suit the widest variety of ground conditions and working environments. SRG Global’s skilled personnel are experienced in the installation of these anchors.